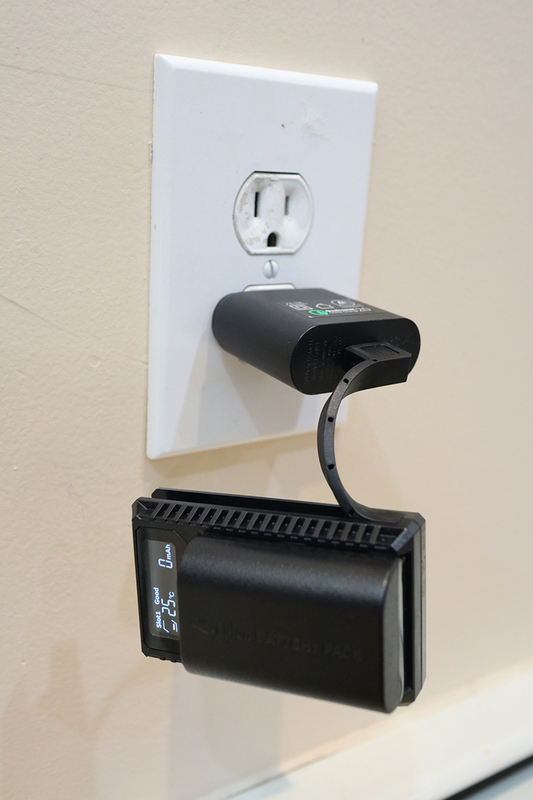 Quality/Usability : If you're a photographer who is constantly on the move whether it be at an event or traveling, sometimes it can be hard looking for a wall outlet to charge your camera batteries. What about having to lug around all these chargers and cables? 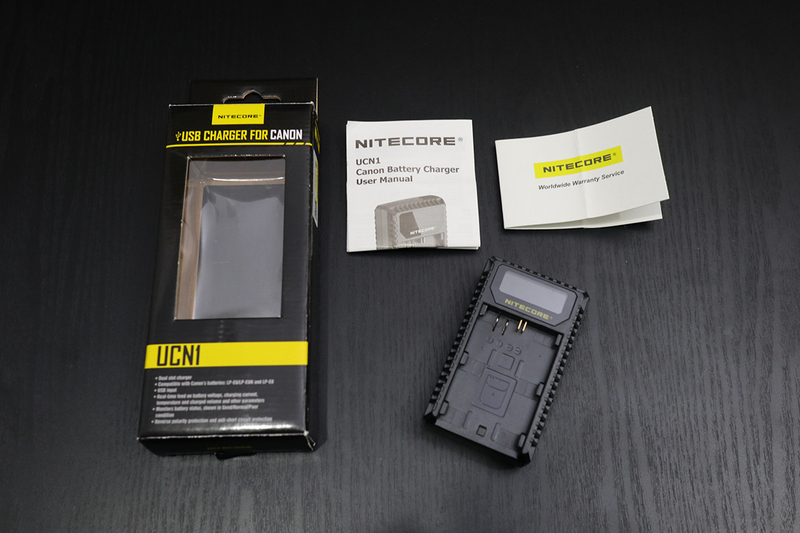 Nitecore aims to solve these problems with their USB travel camera chargers. 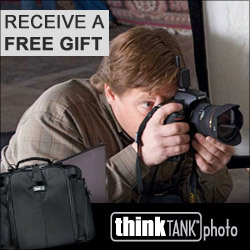 The one we're reviewing is for the Canon LP-E6/E6N and LP-E8. This is a dual-bay USB charger that can charge two different batteries. 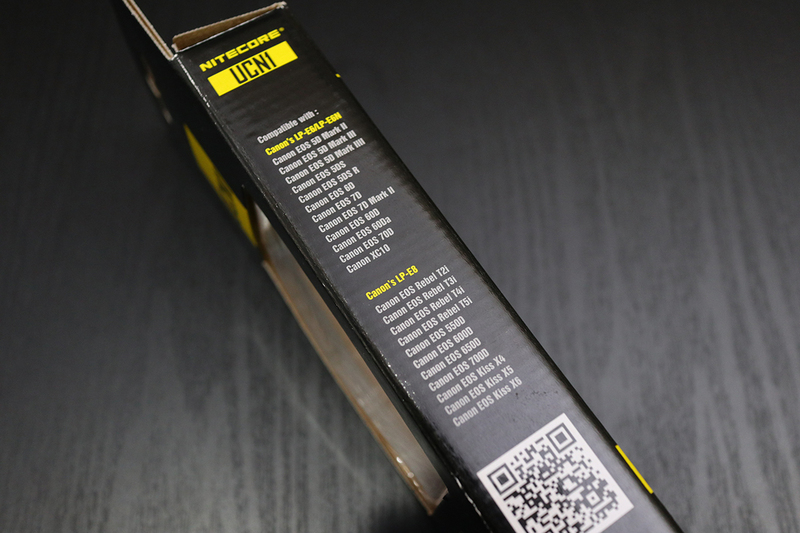 The UCN1 charger includes a user manual, warranty card and the charger itself. 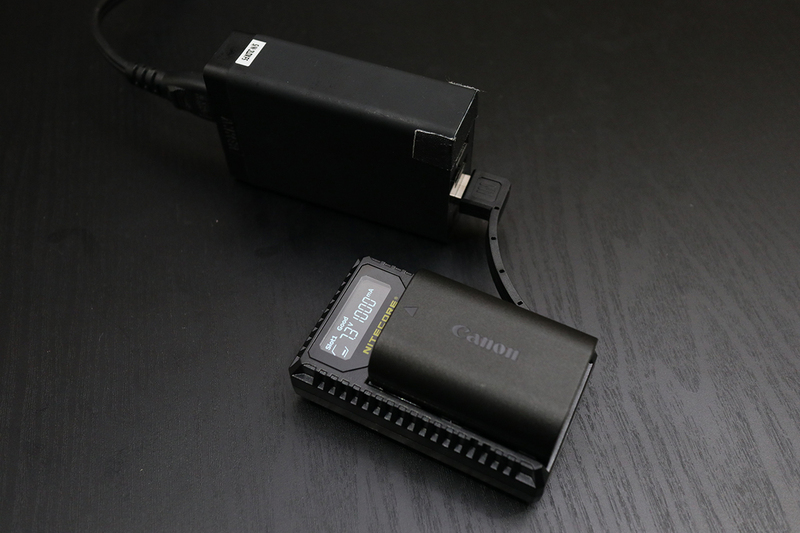 The UCN1 is a two bay charger. 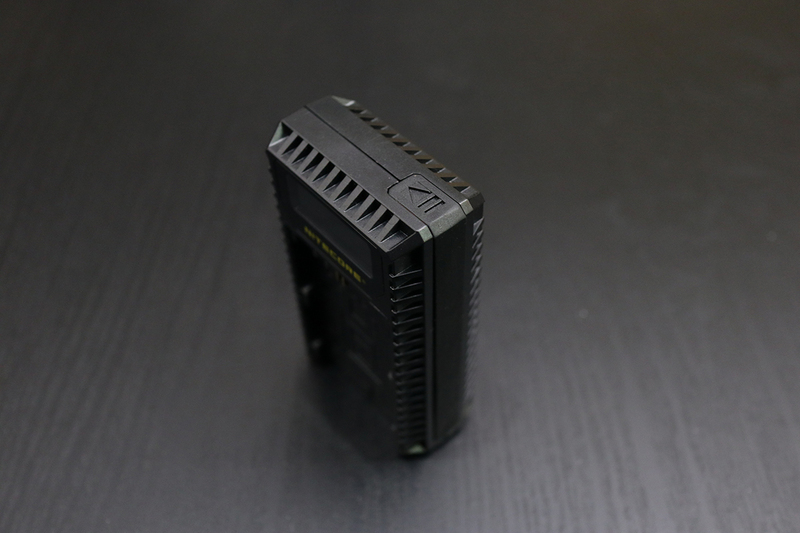 It charges the LP-E6/N on one side and the LP-E8 on the other. There is only one LCD screen on the charger that will show up for both. So how do you charge the batteries? By using the attached USB cable that is tucked into the side of the charger. 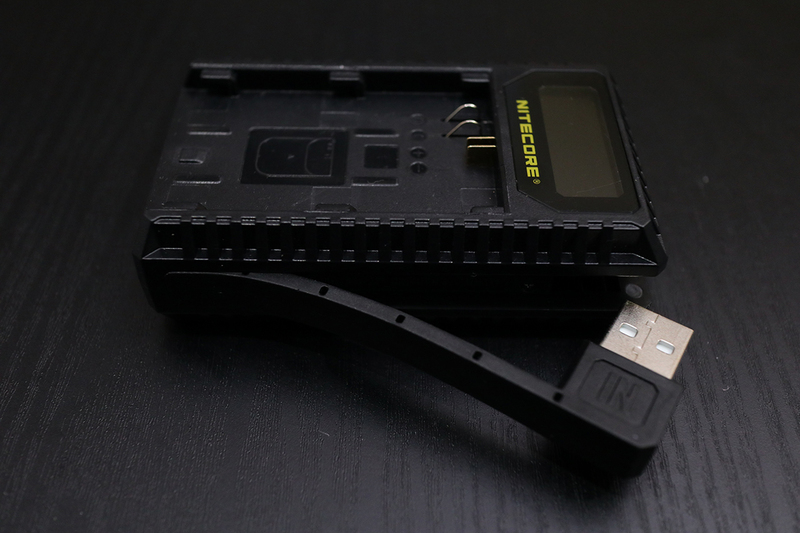 The USB cable is housed in a rubber casing and looks to be your standard USB 2.0. 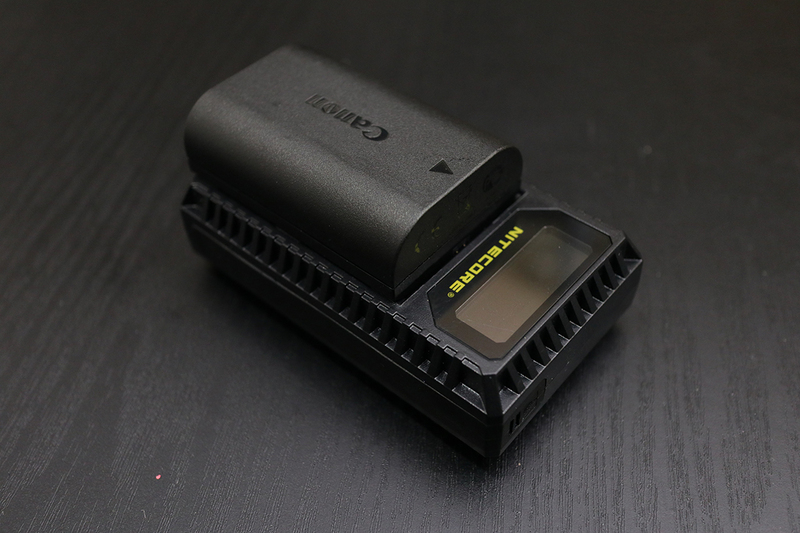 Unfortunately, I do not own a LP-E8 battery so this review will be showing the LP-E6 (aftermarket battery) and LP-E6N (OEM Canon battery). 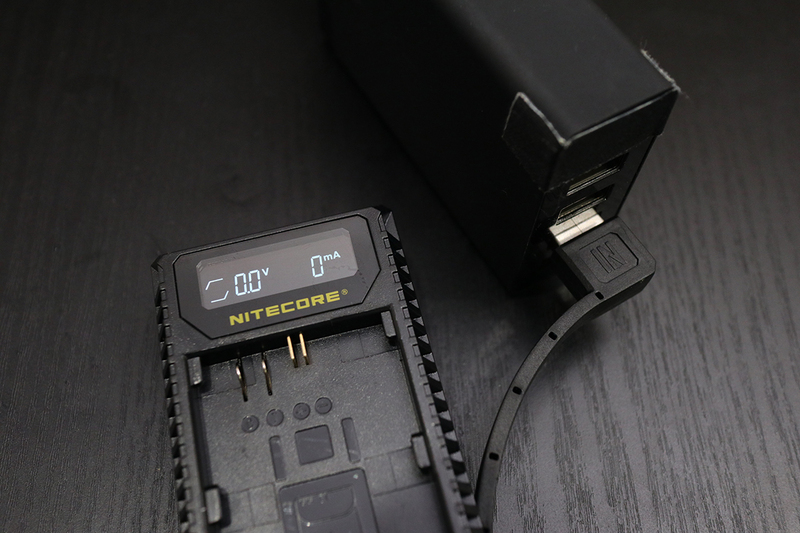 I have the Nitecore plugged into a Anker 5-port wall charger. 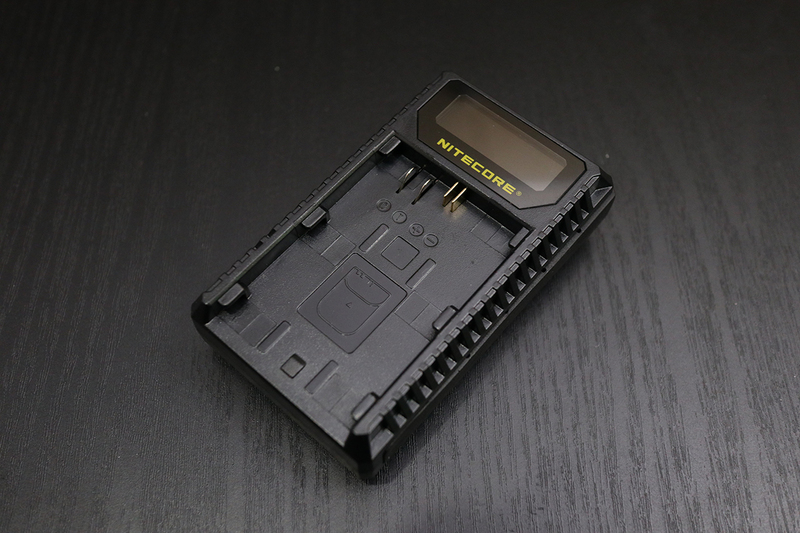 Once the battery is inserted, the Nitecore will proceed with a initial low current test charge to diagnose battery status. Towards the top of the LCD screen, it tells you which slot is being used as well as the condition of the battery (Good, Normal, Poor). Underneath it and to the very left is the battery level indicator to let you know how much battery life is on the battery. To the center and right of it, the display rotates between battery voltage/charging current and charging temperature/current battery level. 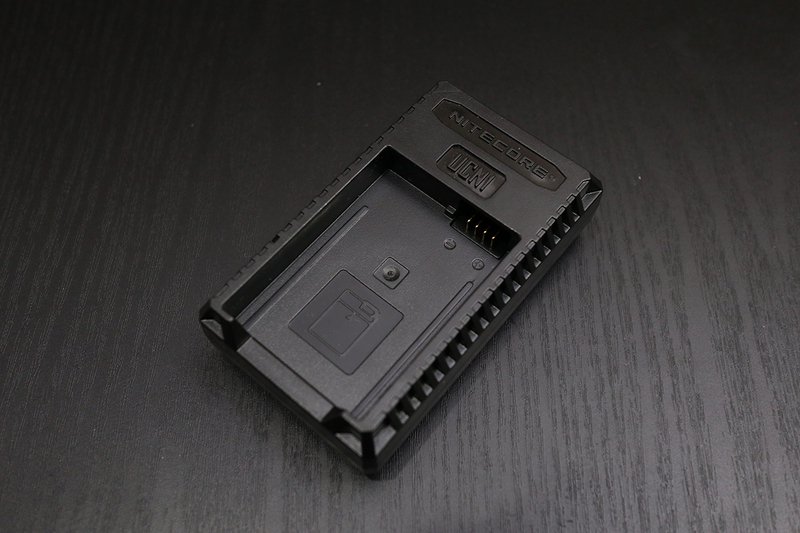 If you have a battery that isn't working, the UCN1 will attempt to recover over-discharged batteries when inserting into the charging slot. 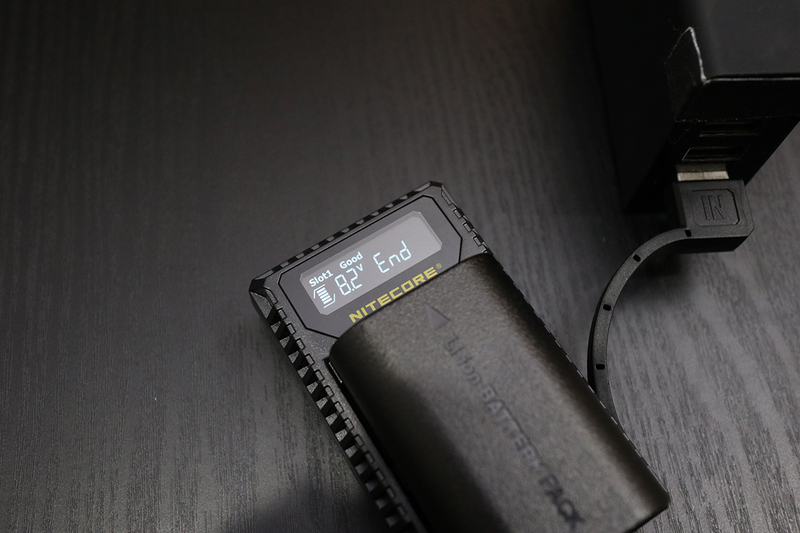 If the charger is able to successfully recover the battery, the entire battery level indicator will flash to represent that a battery has been successfully recovered. This is a great thing to have because the OEM charger does not have this feature at all. 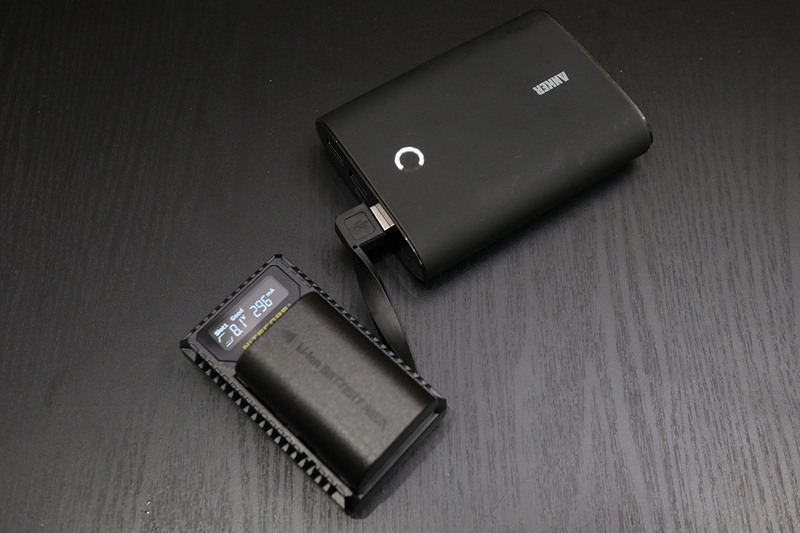 If you're not home or near an outlet and need to charge your battery on the go, the charger will also work with a portable battery bank such as the Anker portable USB battery charger. My power bank has the battery indicator on top but because of the USB orientation, the cable may twist. If you are using a USB wall adapter from like your cellphone, do note that due to the short USB cable, the charger and battery will dangle. And depending on the orientation of the USB port on the wall adapter, the LCD may face towards the wall. 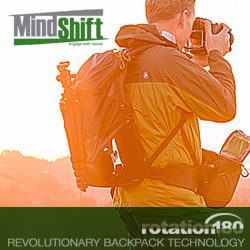 So if you want it facing out where you can see it, the USB cable will have to awkwardly twist. When the LCD screen says "END", this will indicate that the battery is fully charged. It takes about 2 hours to fully charge a battery using a wall unit. 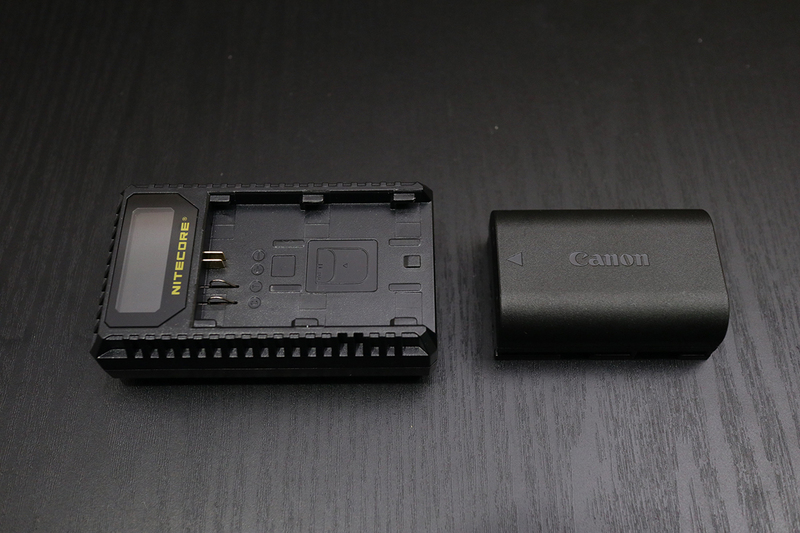 Conclusion : Overall, the Nitecore UCN1 Dual-Slot USB Travel Charger for Canon LP-E6/E6N LP-E8 is a great little portable USB battery charger. I always have a portable battery pack with me but may never be near a wall outlet. The 2-hour charge is decent for something being charged via USB. It would be nice if they offered a bigger selection of batteries to charge. Hopefully, in the near future they do.